The funeral for Chris Cornell took place at the Hollywood Forever Cemetery in Los Angeles over Memorial Day weekend, and a collection of famous musicians and actors attended the event alongside Cornell’s widow, Vicky, and honored to the late Soundgarden, Audioslave and Temple of the Dog frontman. Musicians who were at the ceremony, reports KABC TV Los Angeles, included Foo Fighters frontman Dave Grohl; Janes Addiction’s Dave Navarro; Led Zeppelin’s Jimmy Page; James Hetfield and Lars Ulrich of Metallica; producer Pharrell Williams; Lisa Marie Presley; and Audioslave band mate Tom Morello. Actors in attendance included Brad Pitt, Christian Bale, Jeremy Renner, James Franco and Josh Brolin. After the events, Cornell’s gravesite was opened to the public. He was laid to rest next to his good friend, Johnny Ramone. 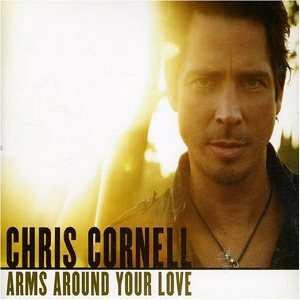 Cornell passed away on May 17 after a Soundgarden concert in Detroit. He was 52. The official ruling was death of suicide by hanging, but his family has stated that they believe anti-anxiety medication may have taken a role in his death. He is survived by his widow, Vicky, and three kids. Over the weekend, the social media accounts for Soundgarden, Audioslave, Temple of the Dog and Cornell’s personal account went black to honor Cornell and uploaded a black-and-white photo of Cornell.